Located on "The Peninsula," York County is legendary part of Virginia steeped in our country’s earliest history. Perched on the York River, Yorktown is after all where General George Washington defeated General Cornwallis, which marked the beginning of the end of the Revolutionary War. Yorktown, and nearby Jamestown and Colonial Williamsburg, are called the "Historic Triangle" because they connect three such important Colonial-era settlements. With its history and location near the Chesapeake Bay, York County is the perfect place for an educational and recreational visit year-round. Visitors can alternate between days at the beach or exploring nature, and days learning about the birth of our nation. 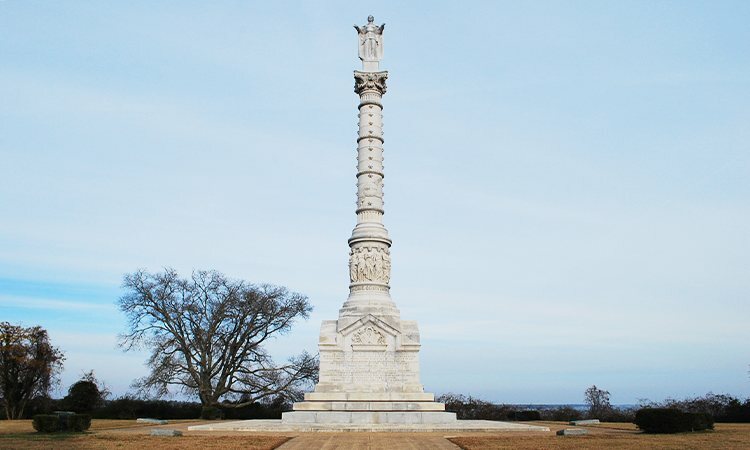 Visityorktown.org is one of many good sources for information about the adventures that await you in Yorktown. Yorktown is also in the area GibsonSingleton Virginia Injury Attorneys has chosen to call home. Along with our families, we revel in history at the American Revolutionary Museum, the Watermen’s Museum, and many more. We’ve spent long days at the Yorktown Beach, followed by amazing meals at the Yorktown Pub, Carrot Tree Kitchens, and Riverwalk Restaurant, among others. We’ve shopped books, art, and antiques up and down the historic Yorktown waterfront. But accidents do happen here. Every day. In 2015 alone, more than 900 vehicle crashes occurred in York County, which caused 500-plus injuries and five deaths. This year, 650 wrecks have occurred - and it’s not over yet. Interstate 64 and U.S. 17 account for a large chunk of these, but VA Route 173 is no stranger to accidents either. Our personal injury law firm cares about this community and works to prevent injuries from happening through education. But when a senseless accident occurs, former U.S. Marines-turned-attorneys Ken Gibson and John Singleton seek the fastest resolution, at the highest settlement, to protect the good health and future well-being of our clients. If you have suffered an injury due to the negligence or willful act of another party, call our office for a free case evaluation at (804) 413-6777. Personal injury involves harm done to the body, mind, or emotions of a person. It includes all types of vehicle accidents, including car, truck, boat, motorcycle, bus, train, bicycle, boat, Segway, and more. Medical malpractice and nursing home neglect and abuse are also categories of personal injury. Premises liability is another category that involves hazards to people on someone else’s property. We also handle dog bites and just about any other cause of bodily harm. If you’re not sure if your injury has the potential for a personal injury claim, call us to find out. There is no charge to talk or meet with us. Be careful in shops and museums: Wonderful shops and museums around York County help share the amazing history in our area. But stay safe while exploring them. Store and museum owners are responsible for your safety in their buildings, so they should keep walkways clear of tripping hazards and properly light areas, especially stairs. Be safe in boats: With such beautiful water around us, boating is a nice way to spend the day. Be careful on any boat. You should always be provided with a life preserver, and children in particular should wear vests at all times and be carefully supervised. If you see someone else acting irresponsibly on the water, report it to others and local law enforcement. Drive safely and watch out for trucks and motorcycles: Driving around York County can be an efficient way to explore the gorgeous countryside. But watch out for people driving under the influence of alcohol or drugs, especially on the weekends and around holidays when people drink too much or use illegal drugs. Big trucks passing through this area need extra space to stop and make turns, so drive responsibly around them. Unfortunately, Interstate 64 has already seen six accidents in York County this year, with an additional three piled on just south of Yorktown. It's important to remember that motorcyclists do not have as much protection as other motorists on the road. Yorktown is a hotbed for motorcycle accidents, with nine reported in the city itself and 10 in the surrounding county in 2017 so far. Give motorcycles extra space to help keep their riders safe. After you get medical treatment, contact GibsonSingleton Virginia Injury Attorneys at (804) 413-6777 to find out your legal options. If we represent you, you pay no retainer fee or other legal fees. Yorktown and the Hampton Roads area are home to tens of thousands of military families. In fact, every branch of the military has a presence here, and our number of active-duty personnel is second only to the Pentagon. Many more York County residents work tirelessly to keep our military equipped, as well. At GibsonSingleton Virginia Injury Attorneys, all military members and their families’ service is honored. Giving you outstanding legal representation is just one way we salute you. Our firm was founded by Ken Gibson and John Singleton, who served as U.S. Marines. Ken drove an M1A1 tank; John served in China and Beirut. We understand and respect the needs of military members and their families. Our firm brings the spirit of the Marine Corps to every case: "No greater friend, no worse enemy." Why choose GibsonSingleton Virginia Injury Attorneys? As former Marines, we know how to strategize and execute. We will develop a plan that you’re comfortable with, launch it, and see it through until the mission is accomplished. If you or a loved one has been injured, call GibsonSingleton Virginia Injury Attorneys today for a free consultation at (804) 413-6777.